Join us in congratulating Jay Shendure! 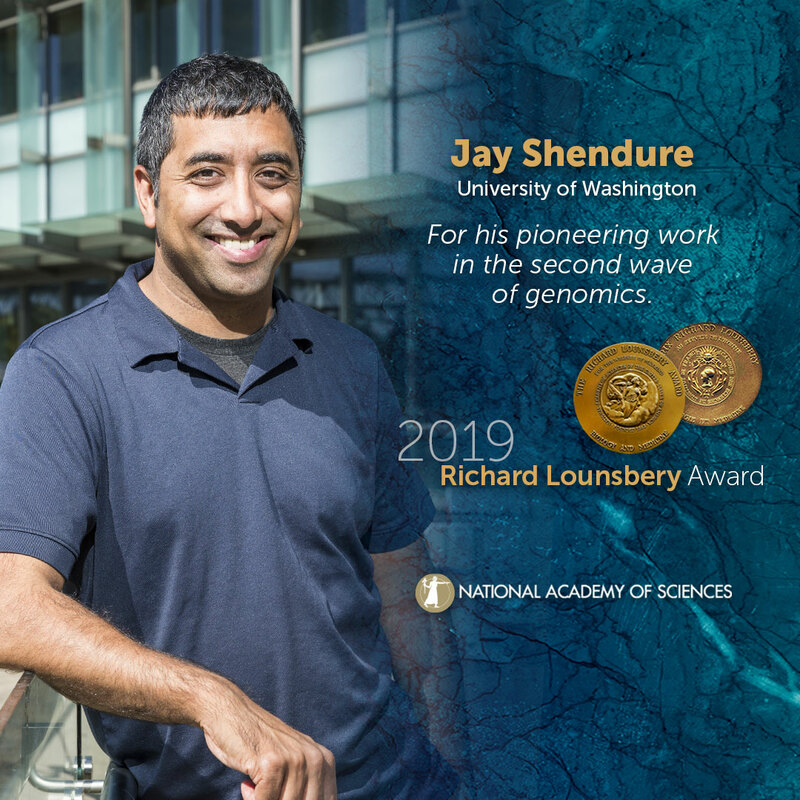 Jay Shendure, University of Washington, will receive the 2019 Richard Lounsbery Award. Shendure is a pioneer and leader in genomics who has developed new technologies that make DNA sequencing faster, cheaper, and more useful—work that is transforming genetics and medicine. Shendure’s innovations began with his doctorate in 2005, when he co-developed one of the first methods for massively parallel or next-generation DNA sequencing. After starting his own lab, he quickly advanced the technology to enable targeted sequencing of the exome—the genome’s protein-coding regions—a technique which is now in use by labs around the world and has resulted in deep catalogs of human genetic variation. In the process, Shendure showed how the technology can be used to identify genes that cause rare diseases, a strategy that has yielded hundreds of new gene discoveries. In 2012, Shendure’s lab introduced technologies that the reconstruction of the genome of a human fetus using “cell-free DNA,” obtained non-invasively from the parents. In 2016, they showed how patterns in cell-free DNA could potentially be used as part of a non-invasive cancer test. The Shendure lab’s most recent innovations include technologies for measuring the gene expression, the epigenome, and the ancestral histories of vast numbers of single cells in developing organisms. Collectively, the techniques and ongoing discoveries by Shendure and his lab hold great promise for advancing basic science and improving human health. The Richard Lounsbery Award is a $50,000 prize given in alternate years to young (no older than 45) French and American scientists to recognize extraordinary scientific achievement in biology and medicine. It is administered in alternate years by the National Academy of Sciences and the French Académie des Sciences. The Richard Lounsbery Award was established by Vera Lounsbery in honor of her husband, Richard Lounsbery, and is supported by the Richard Lounsbery Foundation. Please use the following sample social media posts and other materials to congratulate Jay Shendure.